UE Ultimate Ears brand products, The BOOM Series Wireless Bluetooth Speaker. Orchid version (White/Purple). 360-degree speaker technology. 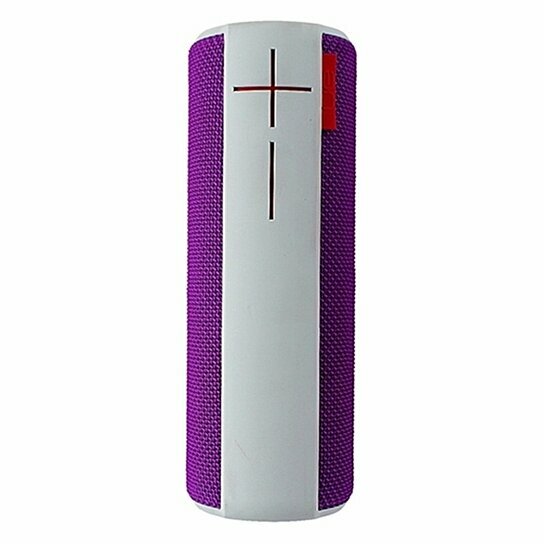 The acoustic skin with plasma coating makes UE BOOM water and stain resistant. Bluetooth range of up to 50Ft. NFC Compatible. Wirelessly connect two UE BOOMs together. Up to 15 hours of playback time.